Day five of the World Junior Championship had two games. Russia stayed strong and held off Switzerland, despite an early challenge, while Slovakia took care of business and battered Kazakhstan, staving off relegation risks. Day six will feature the final four games of the first round. By day’s end, we’ll know for certain which eight teams will advance to the quarterfinals, and which two will face off in the relegation series. Let’s take a look at the matchups. A clean victory over the Czech Republic would actually allow Denmark, who has been in the WJC for five straight seasons, to avoid the risk of relegation entirely. 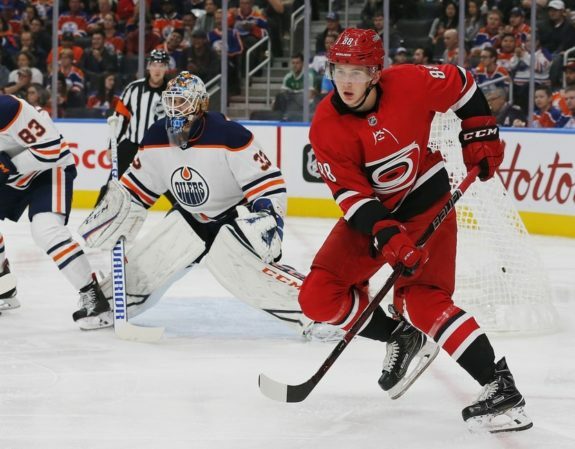 But as underwhelming as the Czechs have been, no one really expects a Danish team that has yet to score a single goal to upset a team loaded with future NHL talent like Martin Necas and Filip Zadina. Perhaps the pair of promising Czechs are waiting until the deadline to turn in their homework and get their nation into the quarterfinals. The team needs them to succeed, but if they can turn on the skill, they’ll be a sneaky threat to anyone facing them in the elimination rounds. Kazakhstan has been a fun team to watch, despite entering the tournament as perhaps the biggest underdog. While they’ve lost big several times, they have still managed to compete at a high level, and could be a tough challenge for a goalless Denmark team, should those two indeed face off for relegation. Still, they’ll face a very tall order in taking on Sweden, who has been the hottest team in their group. Surviving a single-handed onslaught by Ryan Poehling of the United States, the Swedes remain undefeated. 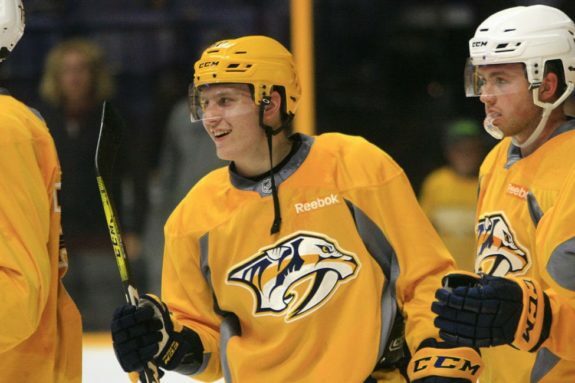 They’re led in scoring by Emil Bemström, a prospect in the Columbus Blue Jackets’ system, who has been having a terrific tournament. Maybe the most impressive player in this year’s WJC’s for me thus far: #CBJ prospect Emil Bemstrom. Woweeeeee. The Kazakhs will be glad to take scoring from anyone, but their best overall player remains Valeri Orekhov. He’s a defenseman playing in the KHL who is eligible for the 2019 NHL draft, and could well be a prize for the team that takes him. They’ll need him to bulwark their defense if they want to get points here, but Slovakia and the quarterfinals are probably out of reach. Canada has been the team of the tournament, which is no surprise as they’re the host country and a contender every season. Russia, to their credit, fought back to steal a victory despite going behind 3-1 early. They proved there is strength in numbers, as each of their seven goals came from a different player. 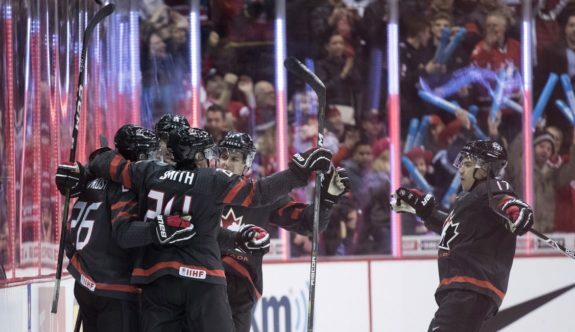 Canada has had plenty of scoring from different players as well, but they haven’t needed much beyond what Morgan Frost and Maxime Comtois have given them. They’ve combined for thirteen points, and are two of the top four scorers in the tournament. Russia may be Canada’s toughest test yet, but the team has been rolling and there’s no reason to expect them to stop now. They’ll be the favorites entering the game, but it shouldn’t be a cake walk. This matchup may well be a preview of a quarterfinal matchup, as these two teams will likely finish between Slovakia and Sweden. The U.S. showed up in the third period against Sweden, or, rather, Ryan Poehling did, but it was a sloppy effort for the first 49 minutes or so. Finland’s Henri Jokiharju, Kaapo Kakko, and Eeli Tolvanen showed up in the team’s 5-1 defeat of Slovakia, and are now tied with Jesse Ylonen for the team lead in points at three. Entering the tournament, those four were expected to be significant contributors, so if they remain hot, they’ll be tough for any team to handle. The U.S. has plenty of talent, and this should be a very fun game, one which will be key for each team’s momentum entering the quarterfinal round. There’s no clear favorite between the two teams, and both teams are coming off a day of rest, so the winner is more or less a toss-up. The last day of the first round will feature four games with final positioning on the line. Eight teams will advance to the quarterfinals. Two others, most likely Denmark and Kazakhstan, will move on to a best-of-three series to avoid relegation. The marquee matchups will be Canada vs. Russia and the United States vs. Finland, and while neither game has major implications other than seeding, they should each be terrific games. Canadian and American fans alike will have plenty to enjoy in Monday’s action, so be sure to tune in.